Note: As the URL gives away, this list was originally 13 items, not 10. I merged a couple that felt like they didn't need to be their own thing. Sorry! During tonight's episode of DC's Legends of Tomorrow, fans had an opportunity to look ahead thirty years, to a version of Arrow's Star City where things have gone seriously sideways. The son of Slade Wilson has led an uprising, causing the people of Star City to flee, and in the absence of heroes and a civic infrastructure, it's become a wonderland for criminals and a horror show for everybody else. ...But there's still one man standing up for Star City...! As ever, we're here to peek behind the curtains at Easter eggs, DC Comics references and more. 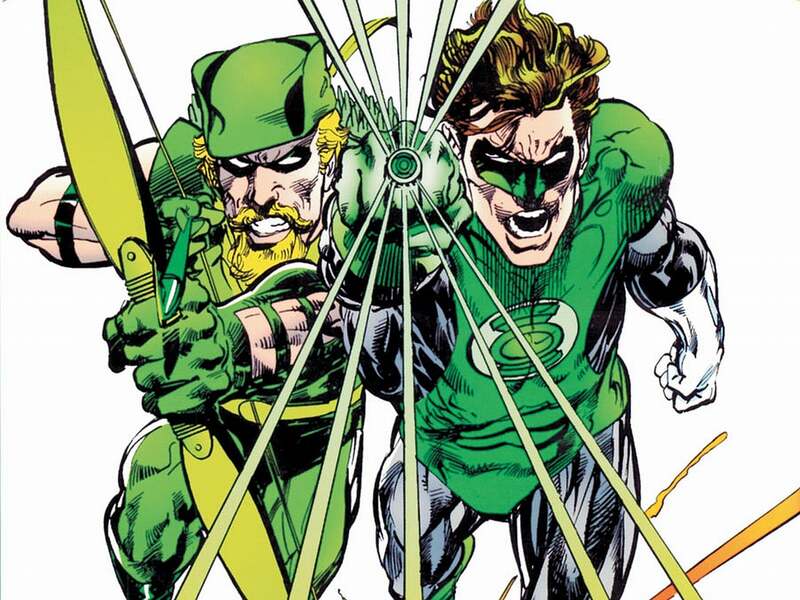 In the comics, Connor Hawke was the illegitimate son of Oliver Queen, whom Oliver didn't meet until Connor was an adult. 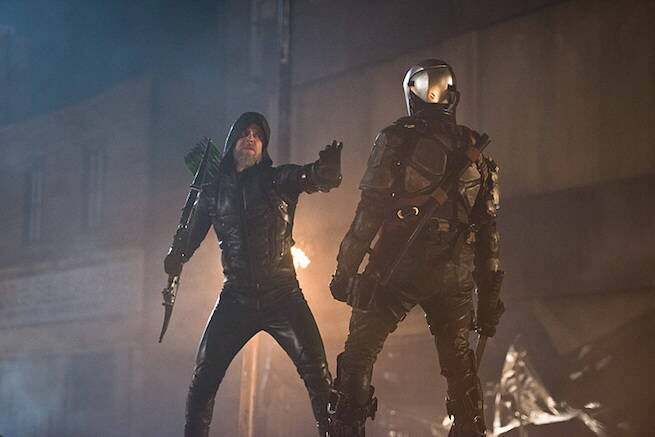 Connor took over the role of Green Arrow after Oliver's death at the hands of an environmental terrorist group he had been working with, when he tried to stop them from bombing Metropolis. Ironically, Oliver died in part because his arm was stuck in a bomb with a deadman switch, so that if he removed it, the explosive would go off. That's what he chose to do, high above Metropolis where it would do no damage, rather than allow Superman to use his heat vision to simply amputate Oliver's arm. I mean, really. Why would he want to live with just one arm, right? Also, just so it's been said, later writers would establish that Oliver knew about Connor all along, and had chosen not to be a part of his son's life -- not unlike what happened on Arrow last night with William. Still, I choose to go with the original story that he didn't know. Smoak Technologies is the new name for Palmer Tech after Felicity Smoak apparently gave up on Ray at some point between when he left in 2016 and when she passed away in this alternate timeline. Grant Wilson isn't a new invention for DC's Legends of Tomorrow. A character affiliated with H.I.V.E. in the comics, his look on the TV show is pretty spot-on. 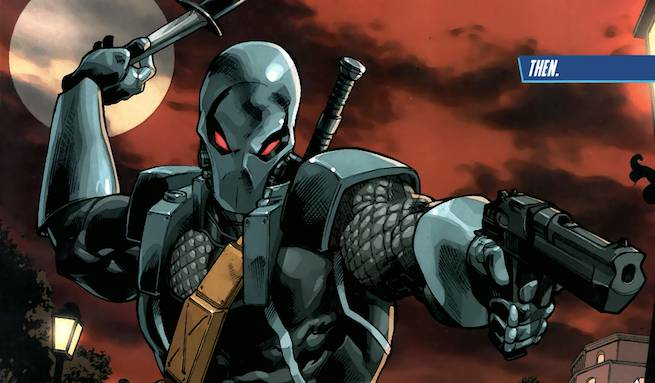 He goes by Ravager in the New 52, and hates his father (Deathstroke) just about as much as he hates everybody else. 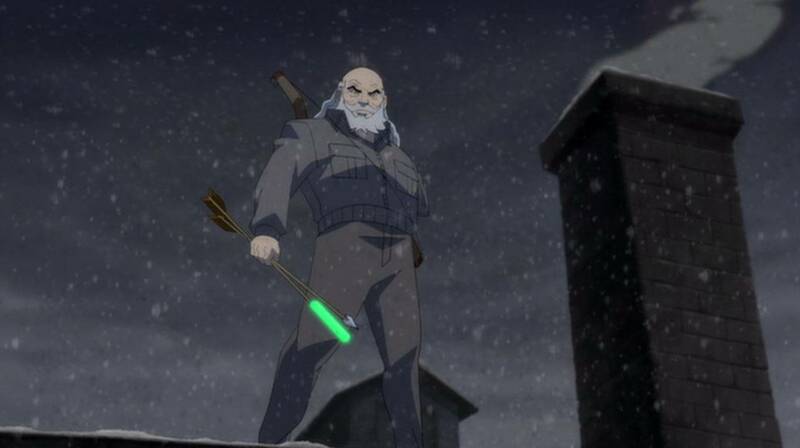 The aged, bearded Oliver Queen with one arm is a creation of Frank Miller's The Dark Knight Returns, which has expanded out to a number of other Elseworlds-style stories. In that story he went without the arm rather than getting the bionic/prosthetic arm we saw tonight. "Uprising" might be the term associated with the dystopian mayhem created by Deathstroke II in DC's Legends of Tomorrow...but it's already been used for a violent, villain-run version of Star City before. 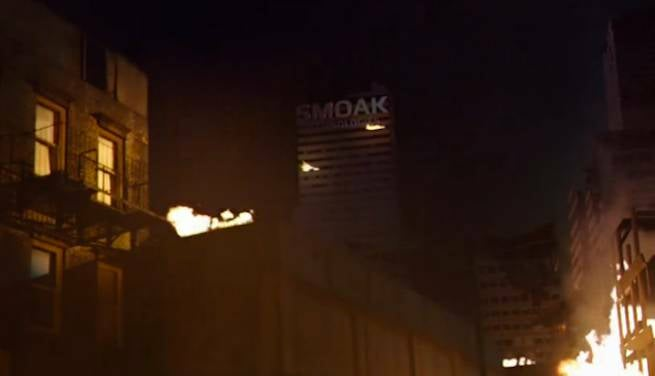 In the Arrow Season Three episode "Uprising," fans saw the city taken over by Brick following the apparent death of Oliver Queen. Apparently, that dude just isn't allowed to die -- real or not -- or the whole city falls into supervillain hands. 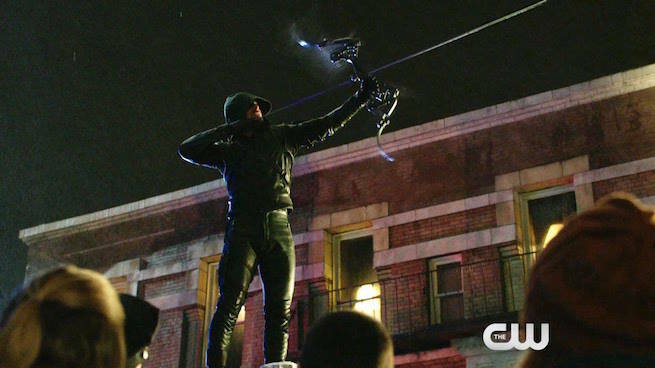 In "Uprising," the presumed-dead Oliver Queen reappeared on top of a car and shoots an arrow into the air to announce his arrival, as he did here. The warehouse at the corner of Adams & O'Neil, where Smoak Technologies stored many of their in-progress projects after the death of Felicity Smoak, is a nod to Dennis O'Neil and Neal Adams, who wrote an acclaimed run on Green Lantern/Green Arrow in the '70s. That whole run, along with a number of other Neal Adams stories, is on sale at ComiXology right now. At one point in the episode, Rip tells Sara that by trying to "fix" the future, she might inadvertently set into motion the events that create the world she's so scared of. 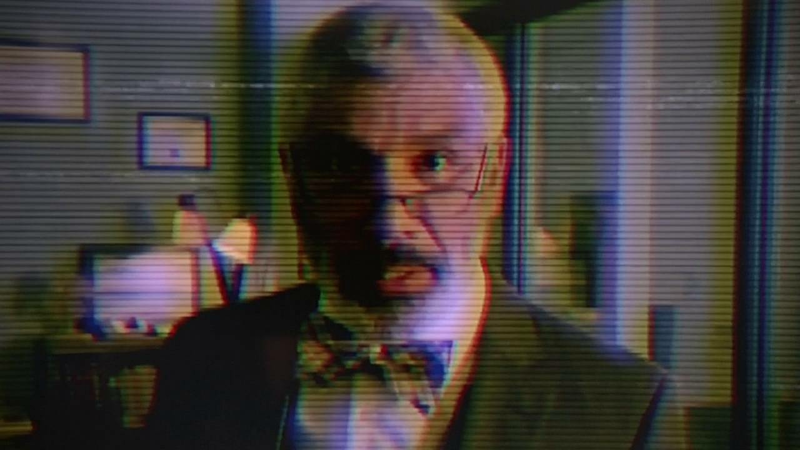 First of all, it's long been my theory that's exactly what the Hawks did when they tried to save Aldus Boardman from his apparently-natural but also mysterious death in the Legends of Tomorrow premiere. It's also what Dr. Stein did -- on a very small scale -- when he inadvertently caused Ray to have a crush on Kendra. That's likely not an accident. 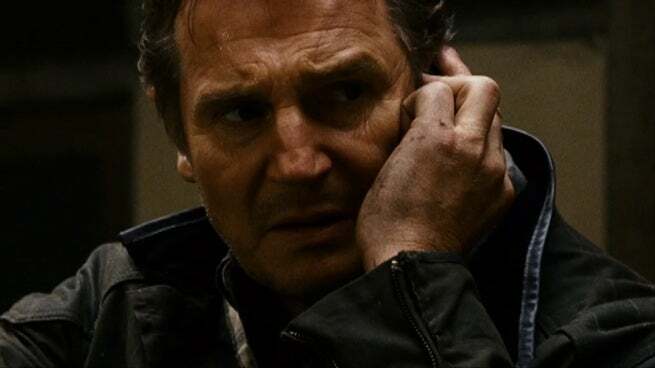 ...Just like Oliver's son William in last night's episode of Arrow, titled "Taken." Which would seem more like simple coincidence if Connor weren't, y'know, Oliver's son in the comics. Did Blake Neely's music sound really familar in a lot of those Star City scenes? It should have: Oliver Queen's theme was dominant in a few of those scenes, and in general a lot of this episode was sonically very much like an episode of Arrow. The Blackhawk Armored Car heist that's referenced by Snart when he's arguing with Rory? That's something we saw on The Flash, where the pair actually perpetrated the heist. 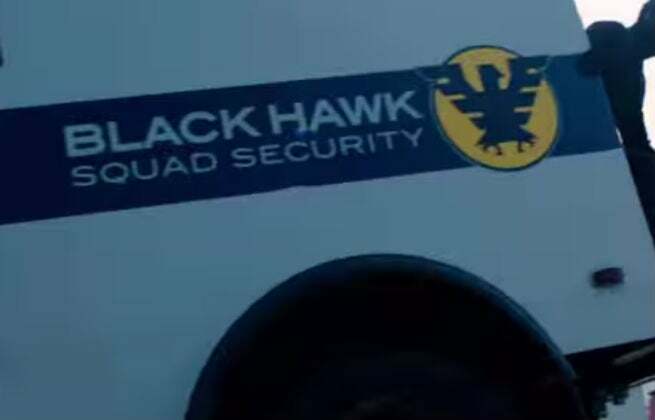 Also, Blackhawk Security is named for the Blackhawks, a squadron of elite military pilots in the DC Universe.